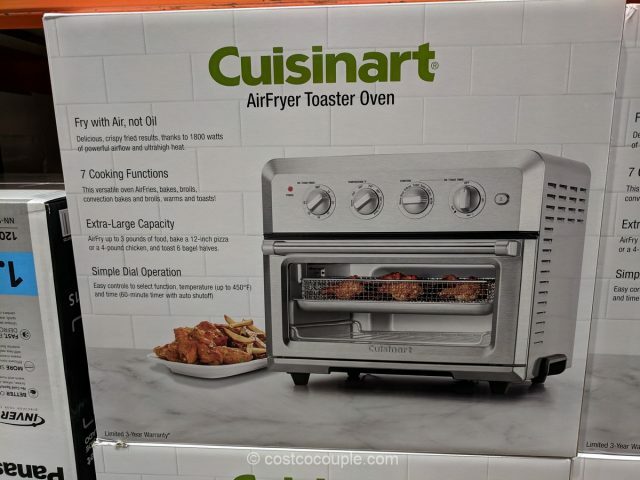 What do you do if you want both a toaster oven and an airfryer but only have room for one of them? 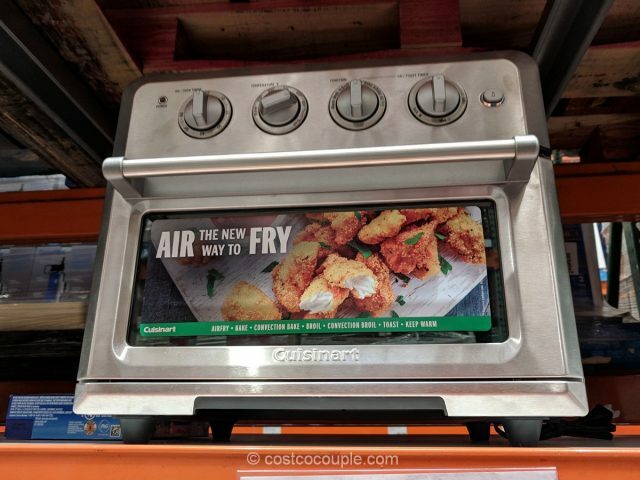 Enter the Cuisinart Airfryer Toaster Oven, which can supposedly do both! 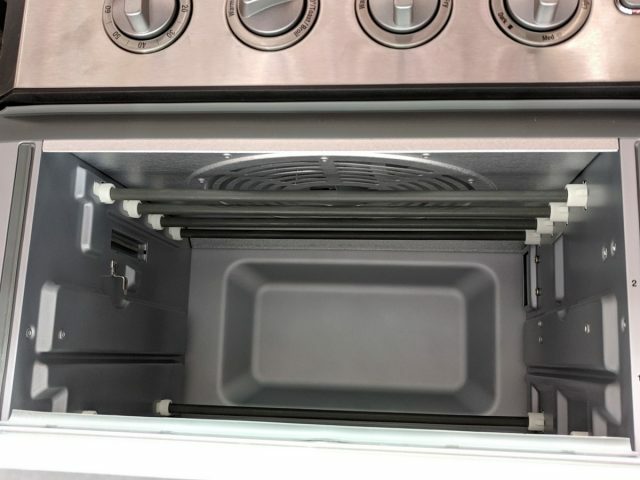 This oven features ultrahigh heat and 1800 watts of powerful airflow to fry food with little or no oil. 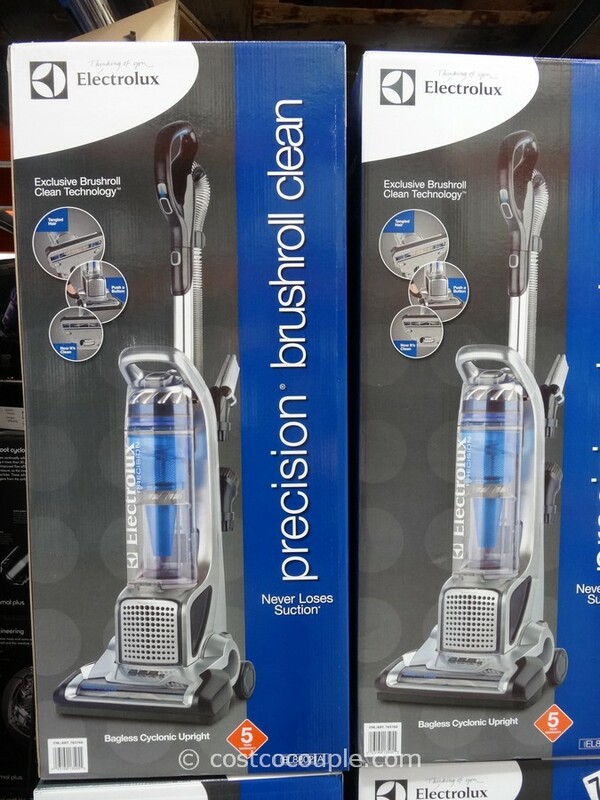 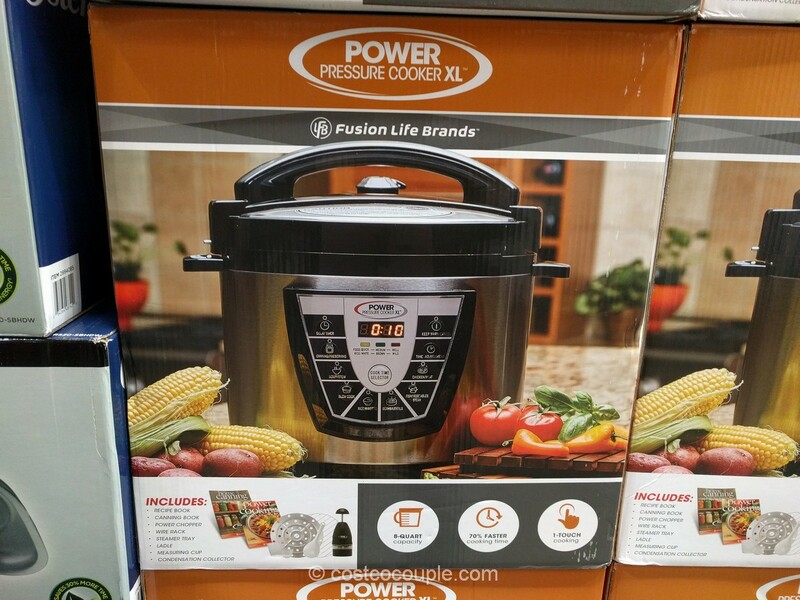 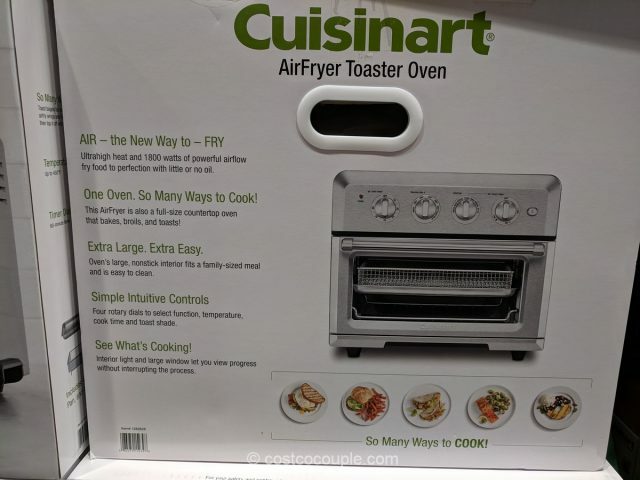 It also functions as a regular oven that bakes, broils and toasts. 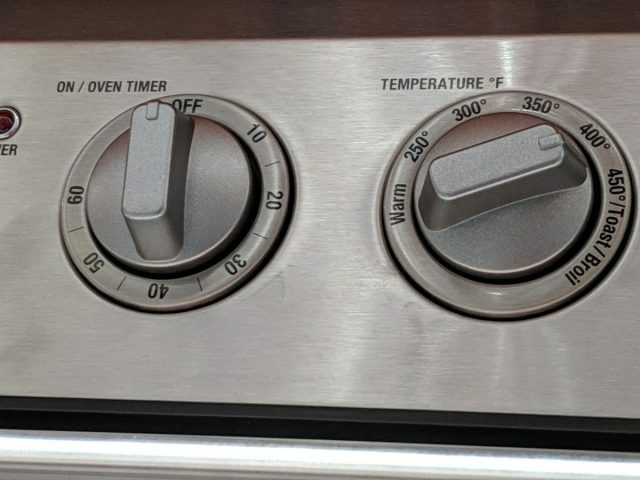 The oven has a large 0.6 cu ft capacity to fit a 12″ pizza, or a 4-lb chicken or 6 bagel halves and it can airfry up to 3 lbs of food. 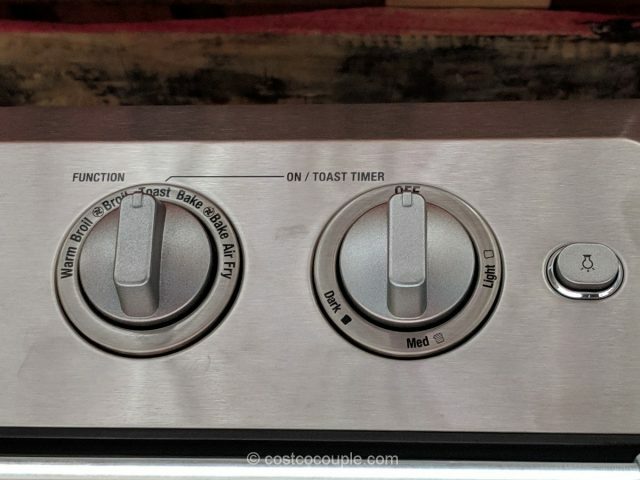 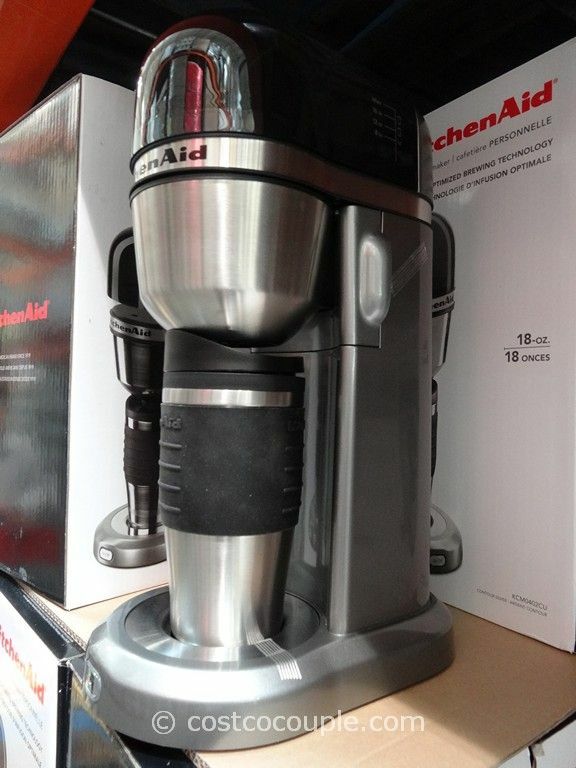 You can control the temperature, cook time and toast shade and set the timer with its 4 rotary dials. 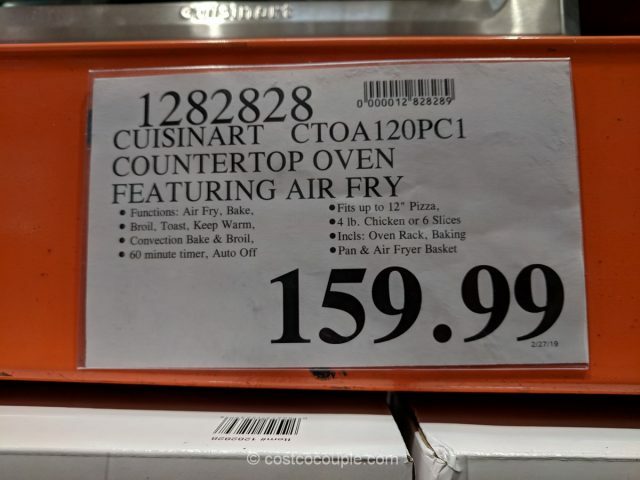 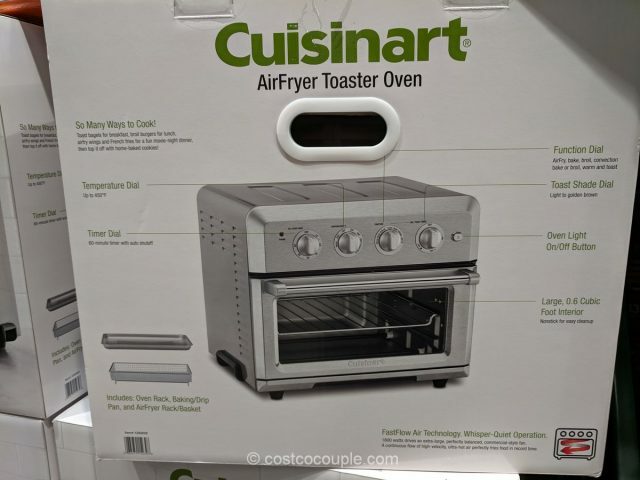 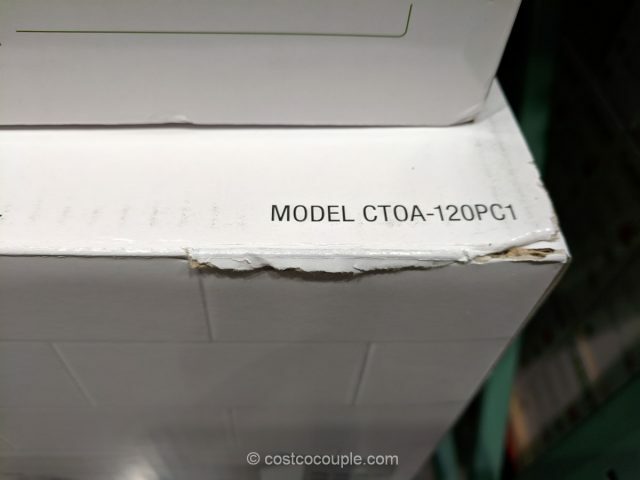 The Cuisinart Airfryer Toaster Oven is priced at $159.99.